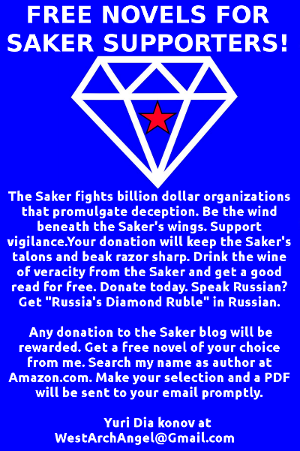 The Vineyard of the Saker: Important appeal for help to all Russian speakers! Important appeal for help to all Russian speakers! Today I am writing to you to appeal for your help. By now it must be clear to everybody that what is taking place today is not just some "Cold War v2" or some "East-West tensions", but a full-scale total war between not only Russia and the USA, but between the entire AngloZionist Empire and the Resistance (lead by Russia and the BRICS). Make no mistake, this is not about the Ukraine or, even less so, about the Donbass. This is about regime change in Moscow. Ask yourself a simple question: what will happen to China, Iran, Latin America and the rest of the planet if the AngloZionists are successful and a Eltsin/Proshenko/Hollande/Abbot/etc-like figure takes over the Kremlin? I am not saying that Russia today "is" the Resistance, but I am saying that Russia is absolutely indispensable for the Resistance. If Russia loses this war, the Empire wins the planet. And if Russia wins, that will be the end of the Empire. That is really that simple. So far this war has been a 1% shooting war, 30% financial war and 69% information war. But what is crucial is this: these ratios can change. Look at the devastation this 1% war caused in the Donbass and imagine what a full-scale 100% shooting continental war would do to our planet! 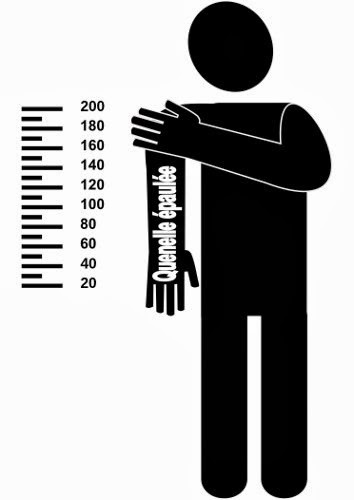 In fact, if we lose the information war the probability of these ratios changing for the worse is very high. In other words, to avoid a continental shooting war we have to win the information war. We all know that Russians are experts are shooting, adequate at finances and absolutely terrible at public relations. I would argue that the volunteer blogosphere has done much more to explain the Russian point of view than the entire state-funded Russian media. But with the informational battle heating up, we need help, a lot of help. In this war, the single best "weapon" we have a direct translations from Russian into English. Documents, speeches and official statements, of course, but also videos, commentaries, documents from the vibrant Russian blogosphere. If the Russians knew anything at all about PR they would hire a firm with the sole task of translating this kind of material into Russian. Such a firm could employ no more than 50 full time translators plus assisting personnel. It would cost the Russian state budget pennies. But they won't do it because they just don't "get it". We will have to do it. Pro bono. Because, above all, we don't want to be bystanders. And we don't want a continental war. 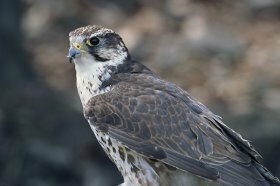 So, I literally beg all of you who can translate from Russian into English, even if you are not professionals or if your English is not perfect (we have editors who will gladly help: please contact the Russian Saker Team whose appeal I am publishing below in English and Russian. Please offer your assistance, even just for a few hours a week, to translate the huge amount of most important information we have in Russian into English (because English is the lingua franca of our planet). Please help us stop an Empire gone crazy and hell bent on starting a shooting war with Russia. 2. Spread this appeal to any and all contacts you have who might help or even know somebody who could help. Please don't be a bystander. We, the volunteers of the Russian Diaspora, spontaneously organized ourselves into a group to help our historic Homeland of Russia. Our site is the Russian version of the parent English blog "The Vineyard of the Saker", which analyzes the current pressing issues in the world. The blog owner, The Saker, has extensive experience in military analysis, which is very popular in the English-speaking blogosphere. Multiple language volunteer groups have decided to bring the Saker's blog to their readership. As of today, in addition to Russian, we have French, German, Serbian, Italian, Spanish (Latin American) and Oceania (Pacific) versions. This is truly an unprecedented case of volunteers from around the world spontaneously uniting to organize an opposition to the mainstream Western media's reporting of world's events. The realization that we have been bluntly manipulated by certain global interests that are mindlessly pushing the world towards war and destruction, prompted us to join our voices to the growing world protest against the propaganda of violence and hatred. Exposing the thick wall of Western lies and trying to tell people the truth from the other side is the civic duty of every honest person. We say NO to violence and wars around the world; we stand for peaceful coexistence, economic and cultural cooperation between our nations; and, we extend the hand of friendship to all nations, brothers and sisters all over the world! We will be together only through the realization that we share common values and interests: the right to freedom, self-development, labour and education, the right to love and raise our children, the right to the TRUTH and LIFE. The purpose of the unbridled Western propaganda is contrary to these rights and to befuddle our consciousness and identity, to divide us, to force us to hate each other, so we can be more easily crushed one by one. If you support our call and want to help, please join our volunteers. We need people with various language skills to translate our material. Please contact us at editor@vineyardsaker.ru. Мы – волонтеры российской диаспоры, спонтанно обьединившиеся в группу для помощи нашей исторической Родине России. Наш сайт является русским филиалом материнского англоязычного блога Балобана “The Vineyard of the Saker”, который анализирует современные насущные проблемы в мире. Владелец блога Балобан имеет обширный опыт военного анализа, который пользуется огромной популярностью в англоязычной среде. Несколько языковых волонтерских груп решили расширить блог Балобана на свои читательские аудитории. 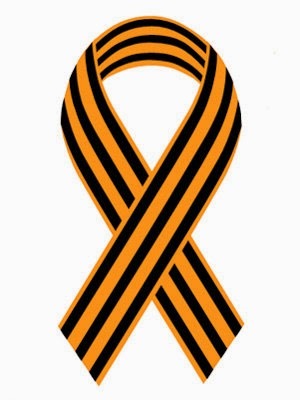 На сегодняшний день, помимо русского, мы имеем французский, немецкий,сербский, итальянский, испанский (латиноамериканский) и Океания (тихоокеанский) филиалы. Это поистине беспрецедентный случай, когда добровольцы со всего мира спонтанно обьединились для того, чтобы противопоставить альтернативный западным СМИ взгляд на происходящие в мире события. Осознание того, что нами откровенно манипулируют определенные мировые интересы, которые бездумно толкают мир к войнам и разрушениям, побудили нас к присоединению наших голосов к возрастающему хору всемирного протеста против пропаганды насилия и ненависти. Разоблачать плотную стену западной лжи и пытаться донести людям правду с другой стороны – это сегодня гражданская обязанность каждого честного человека. Мы говорим НЕТ насилию и войнам во всем мире, мы – за мирное сосуществование, экономическое и культурное сотрудничество наших государств, мы протягиваем руку дружбы всем нациям, братьям и сестрам во всем мире! Мы будем едины, только если мы поймем, что нас обьединяют общие ценности и интересы: право на свободу, саморазвитие, свободный труд и образование, право любить и растить детей, Право на ПРАВДУ и ЖИЗНЬ. Именно против этого и направлена оголтелая западная пропаганда, целью которой является одурманить наше самосознание, разделить нас, заставить ненавидеть друг друга, чтобы потом раздавить нас по одиночке. Если вы поддерживаете наш призыв и хотите помочь, присоединяйтесь к нашим волонтерам. Нам нужны люди для переводов с разных языков. Пожалуйста, пишите нам на editor@vineyardsaker.ru.